Our bodies require the proper types of fats on a regular basis for good health. 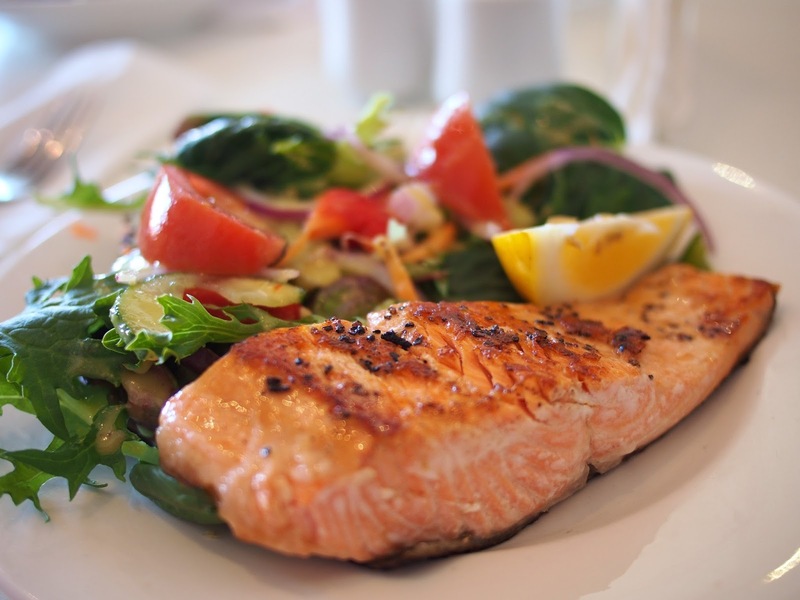 Eliminating fats and going on a low fat diet is bad news for your brain, nerves and hormones. 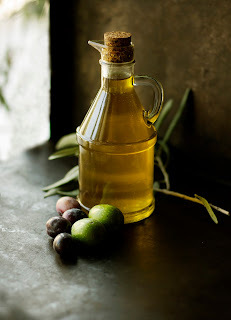 "In a study published online June 21 in the Annals of Clinical and Translational Neurology, the researchers show that the consumption of extra-virgin olive oil protects memory and learning ability and reduces the formation of amyloid-beta plaques and neurofibrillary tangles in the brain -- classic markers of Alzheimer's disease." Do you have aches and pains in your joints? There is a lot you can do naturally from an anti-inflammatory diet to taking the right supplements. Chondroitin is a popular supplement that is typically combined with glucosamine, this article shows conclusive evidence on it's effectiveness. 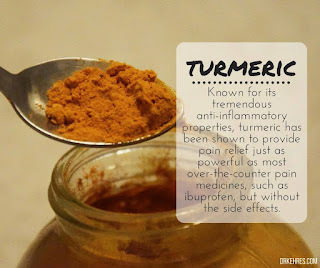 typically It will work for 50-60% of people by itself and when combined with turmeric it can work for up to 80% of people! Getting your knees and hips adjusted and doing proper stretching can also help. Turmeric and curcumin are most well known for reducing inflammation in a similar way that NSAIDS (Nonsteroidal anti-inflammatory drugs) do but without the side effects. Depression is an inflammatory disease so it makes sense that curcumin would help. Typically 1-2 grams of turmeric per day is where the therapeutic dose starts. Food is energy. It doesn't make sense to eat a lot of food right before bed since it won't get used as energy but instead be stored as fat. However, it does makes sense to eat more food earlier in the day as it will be burned throughout the day and before bedtime. Another study looked at people who ate the exact same meals earlier in the day compared to later in the day. The people who ate the meals earlier in the day had greater weight loss than those who ate the meals later in the day. Try shifting your meals earlier and don't binge eat before bedtime! Read an article about timing your meals at sciencedaily.com! City Market in Bay City is coming soon! I got a chance to chat with owner Matt Meehan. Real food is not made in a factory. Real food does not have an ingredients list. 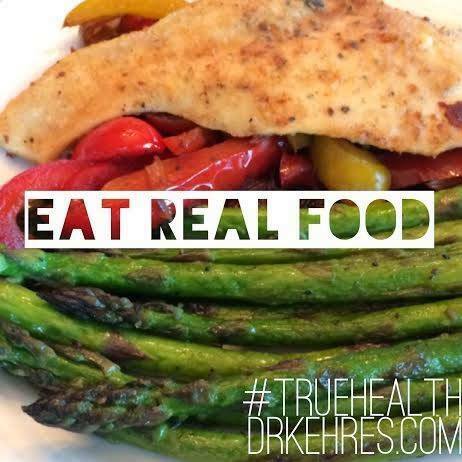 Eat real food -- the easiest rule to live by when trying to get healthy.